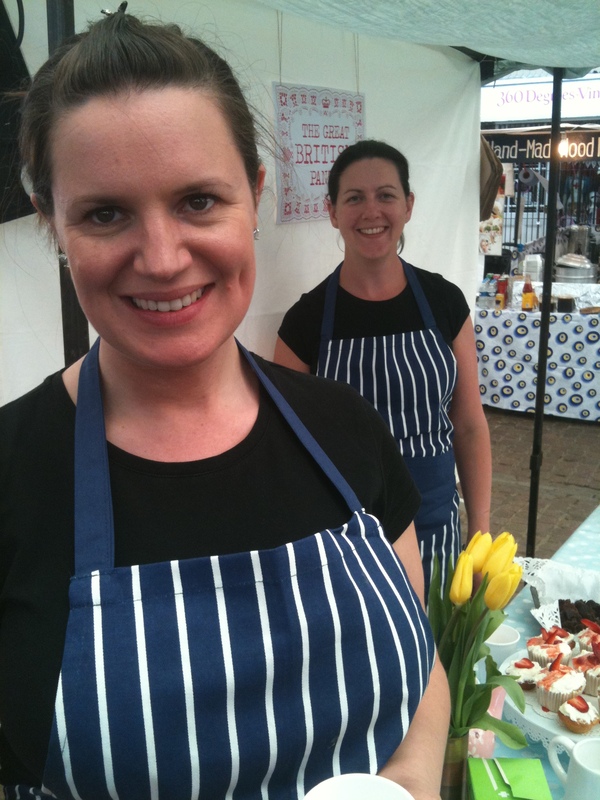 We’ll be back at Greenwich market this Friday (18th June) after calls from our favourite customer Hilary requesting brownies and our presence – bless!! pop down for a glass of home made lemonade, and to try out our new marmalade!! 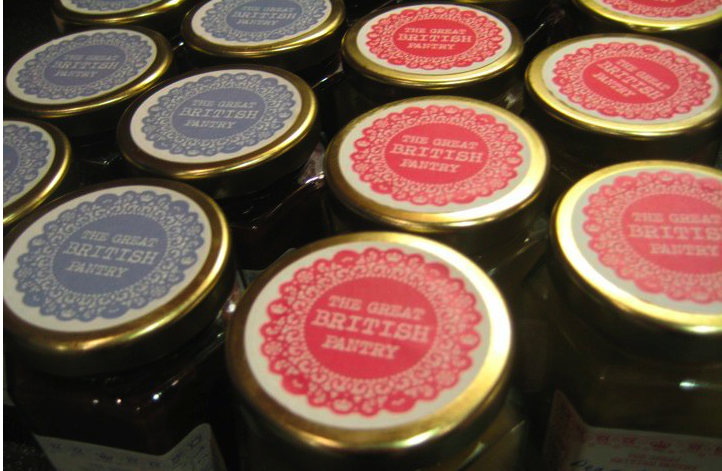 We’re currently cooking up a storm in the kitchen, replenishing our stocks of jams and chutneys and will be back to Greenwich in a couple of weeks time. Pop back soon and we’ll let you know when we’ll be there. In the mean time, if you’re having withdrawal symptoms from our Piccalilli or Brownies, visit out products page where you can place an order for home delivery. 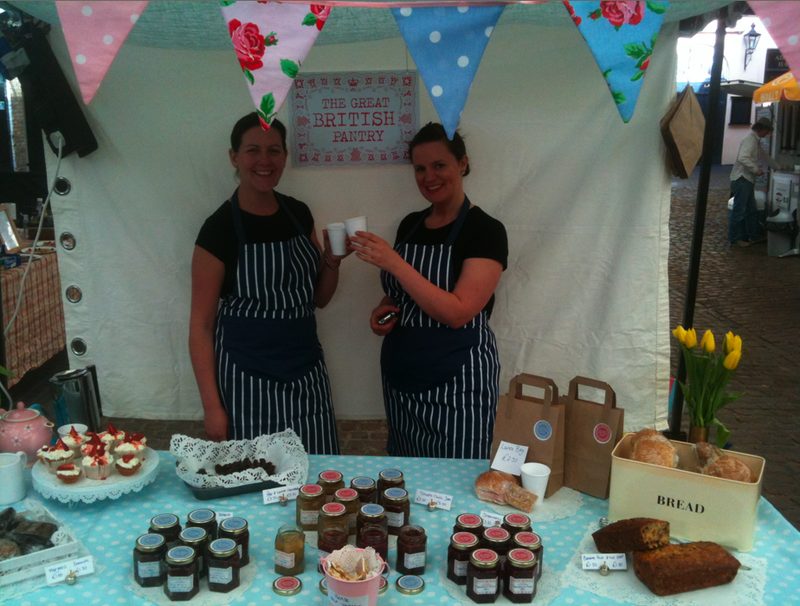 We were privileged to have our stall feature at the 25th anniversary of the market. A new clock was unveiled by the Major of Greenwich, music and entertainment was provided, and we sold out!! 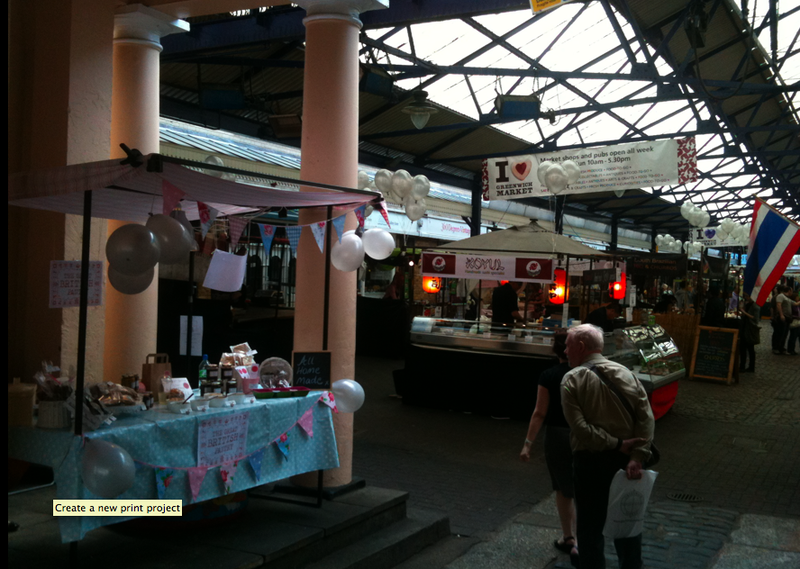 A great day had by all – and a Happy Birthday to Greenwich Market. Another great day at the market, and it seems that we already have some regulars! Two trays of the famous brownies sold out before lunch time, and we had people come back from tasters upset that they couldn’t get any – so don’t worry, we’ll be making sure there’s more than enough for next time. 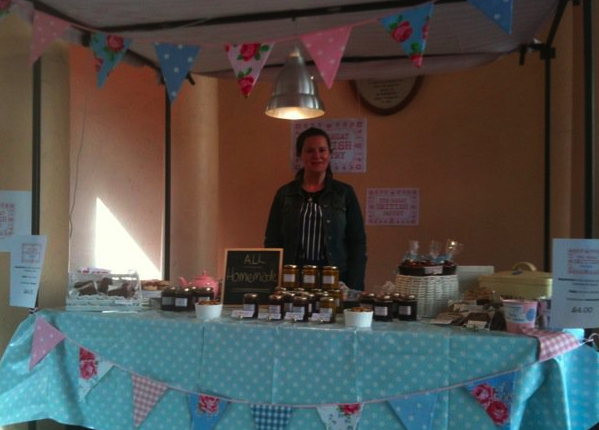 Our ‘special of the day’ this week was Irish fruit bread – made by Janes aunty (in Ireland!) and enjoyed by all. We hope to be in Greenwich again for the upcoming 25th anniversary on 21st May. Specials to be announced shortly! Great first day on the stall, bit daunting when we arrived to an empty market!! We soon got set up and within a couple of hours it felt like we’d always been there. Regan why did we not do this before! Good buzz around the stall all day with lots of positive feedback on the display, products and logo (thanks again Martin!!). Sold out of most of our produce and gained lots of good ideas for our first proper day next Friday (7th May). Good day had by all, thanks to all the helpers and babysitters 🙂 and to Scarlett for being a star! Come down soon all and try the already famous “Great British Brownie”! Trial day is a success! Thanks to everyone who supported us on our trial day yesterday. We almost sold out, and the stall was well received by everyone that came to visit/buy. Thanks in particular to Martin Irish for our great brand identity, to PMS Printers in Sydenham for our lovely labels, and to Tyler (who also makes great wedding videos!) for his photography and support throughout the day. We’ll be posting up lots of pics shortly for you to see, and have been given the opportunity to go back on Friday – so we’ll be in Greenwich market on Friday 7th May. Come down for some free samples of the Great British Brownie, and to try our delicious Banana, nut and apricot loaf. 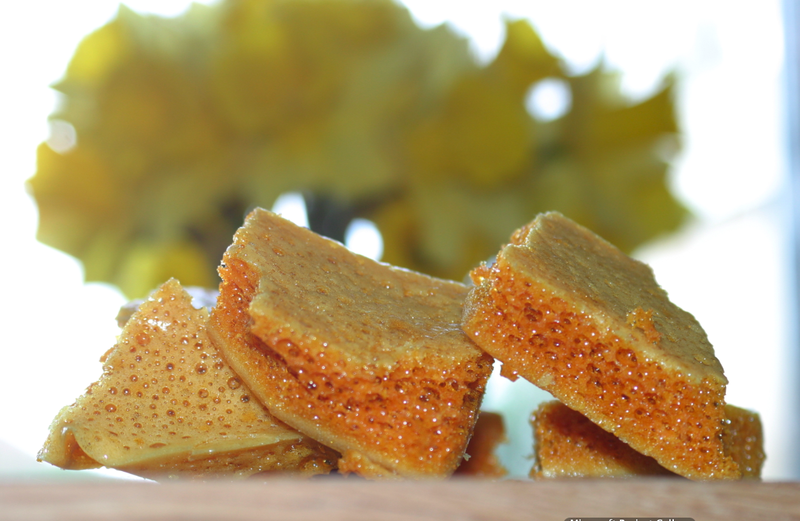 It’s always nice to give a personal touch to a Mothers Day gift, and what better way than to make this delicious honeycomb – aka ‘Hokey Pokey’ by Nigella Lawson. Wrap up chunks of the golden honeycomb in baking paper and tie with string for a rustic look, or place some tissue paper into a pretty box to give it a decadent feel. 1. Add the sugar and syrup to saucepan. Stir together, and then once incorporated, turn on the hob to a medium heat and leave to melt. 3. Remove the pan from the heat, add the bicarbonate of soda, and with a whisk, mic everything together so that it bubbles – don’t whisk for too long as the air will go. 4. Add some baking paper to a shall baking tray and then pour the mixture onto it. 5. Place in the fridge to set for at least an hour then remove and smash into pieces. 6. Once you’ve smashed the pieces, you can either eat as is, or if you’d like to coat in chocolate, simply melt some milk cooking chocolate into a bowl over a saucepan of hot water and then dip in each piece of honeycomb until covered. 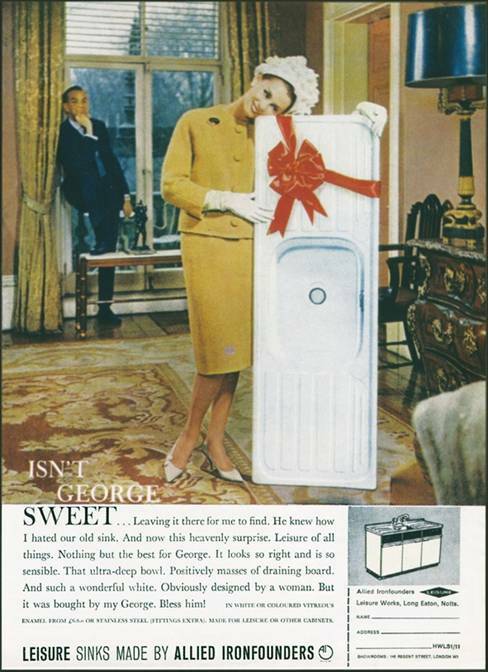 Return to the fridge for the chocolate to set.